Ann Romney said it's all part of a plan to portray her husband "in a light that is just completely wrong... they don't' get him at all." Pressed by Crawford on what qualities in her husband she sees most misrepresented, she said, that "he's not as approachable as I am or something like that. That's like, really kind of funny to me because it's all - it's all backwards." "That'll change," Mitt Romney assured her. "That'll come with time." We are four months away from election day. Four Months. Time is running out for Rmoney. But let's get back to this *killing idea*. CBS suggests that this meme came from last August. ...some Democratic strategists let leak to the press that Obama's top aides were looking at a massive character takedown of Romney in light of a deterring economy; "kill Romney" was a phrase used by one. "That was their memo that came out from their campaign," Ann Romney said. "And it's like, 'not when I'm next to him you better not." �Unless things change and Obama can run on accomplishments, he will have to kill Romney,� said a prominent Democratic strategist aligned with the White House. I think we are all smart enough to know that the phrase he will have to kill Romney is a political metaphor. In sports, we like to use the phrase, We have to slaughter the other team, etc., you know the gist. . Here we are, 11 months later and Ms. Rmoney is saying: 'Let's kill this guy'? On Friday, Romney campaign spokeswoman Andrea Saul quickly criticized the Post for not adequately defining the two trends. "This is a fundamentally flawed story that does not differentiate between domestic outsourcing versus offshoring," Saul said. On Sunday, Romney campaign strategist Eric Fehrnstrom advanced the outsourcing versus offshoring distinction, providing perfectly adequate definitions of both phenomenons. "There�s a very simple difference between outsourcing and offshoring,� Fehrnstrom said on CBS' "Face the Nation." "(Outsourcing) is done by companies every day. They take functions and they allow vendors to do it rather than handling it in-house. Offshoring is the shipment of American jobs overseas." But to distance Romney from offshoring, Fehrnstrom ends up giving implicit approval to domestic outsourcing. "I think you hit a reset button for the fall campaign. Everything changes," Fehrnstrom responded. "It's almost like an Etch A Sketch. You can kind of shake it up, and we start all over again." A senior Obama adviser was even more cutting, suggesting that the Republican�s personal awkwardness will turn off voters. Romney manages this low rate because he takes his payments from Bain Capital as investment income, which is taxed at a maximum 15 percent, instead of the 35 percent he would pay on �ordinary� income, such as salaries and wages. Many tax experts argue that the form of remuneration he receives, known as carried interest, is really just a fee charged by investment managers, so it should instead be taxed at the 35 percent rate. Lee Sheppard, a contributing editor at the trade publication Tax Notes, whose often controversial articles are read widely by tax professionals, is nonplussed that the Obama campaign has been so listless on the issue of carried interest. �Romney is the poster boy, the best argument, for taxing this profit share as ordinary income,� says Sheppard. Read the entire scribe if you haven't already. Please note that candidate Romney has no plans on changing the laws that allow him to offshore his money. He actually wants to loosen those regulations. That's not killing - that is politics, and Romney has certainly proven this to be true all by himself. This is a presidential campaign where we as citizens are SUPPOSED to see the media vet the candidates. We have that responsibility as Americans to do so as well. This is vetting both politically and personally, and that is the essence of politics. People want to LIKE who they are going to vote for, from a personal as well as a policy point of view. That has long been a political reality. The Romney's keep telling us to wait and see how awesome Mitt is, and we still aren't seeing it. So instead, they are choosing to project upon others a strangely hyperbolic spin from the Obama campaign. To say that Obama is trying to kill Romney is ridiculous. 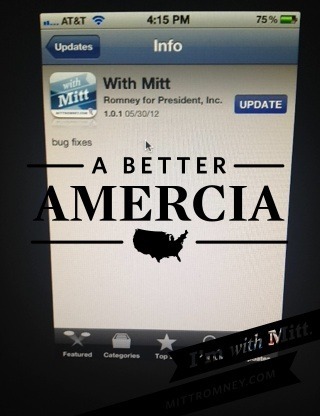 I suspect that some people will take this term literally...and perhaps that's why Ms.Romney chose to use that phrase. It helps to further inflame a portion of the conservative base. Maybe she was speaking to that.